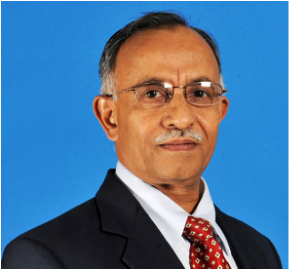 Professor Dr. K. Dilip Murthy, Ph.D. I am a dedicated teacher with more than 35 years experience in teaching Physiology to medical students. Presently working as a Professor of Physiology at the School of Medicine in University Malaysia Sabah, Kota Kinabalu, Malaysia. Apart from this I am also a very active member of the Medical Education department involved in Problem-based learning, conducting Teaching Learning and evaluation workshops at both undergraduate and postgraduate levels. I have the expertise in conducting Neuroscience research especially using neuromorphological techniques and estimation of neurotransmitters, hormones and enzymes. Present area of research is on the effects of prenatal stress on the hippocampal neurons using the rat model. Objective is to continue in the field of academics and research and help enthuse and educate the next generation of students to excel in academics and research. Ph.D. Thesis: "Study of morphological changes in undernourished developing brain and the study of extents of recovery with rehabilitation." Professor Dr. Dilip Murthy, Ph.D.